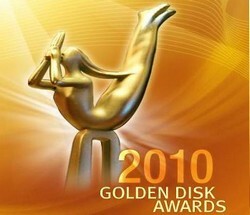 Golden Disk Awards 2010 WAtch Online , Disk Awards Ceremony . The 2010 Golden Disk Awards will be broadcasted live online in Taiwan,Malaysia, Singapore, Indonesia, Japan, Thailand, and Korea.Please vote for your favorite singer and song. Asian Fan Voting Results. * Candidates : Korean pop star who have performed from Dec 1st 2009 to Nov 30th 2010 in Asia. - Users can vote only one time. - After checking the box below the candidate, click ‘vote’ button. The award ceremony will take place on December 9th.